It is a beautiful Saturday morning and I am seated at my desk in my small office at home, nothing much just my laptop support by a base against the arm rest of my couch or as we say “sofa-set”. I hear a notification beep, when I check it is my favorite Network Provider Safaricom alerting me to the fact that my data bundle has been depleted. You see I like having my phone’s data connection so that I do not miss anything. Some of you would say that, that is pretty expensive, well true it is very expensive hence the reason for this post. On my laptop I have a dedicated unlimited high speed internet connection which I am thinking I can share with my phone. Why not? It would save me so much if I just connect my mobile to my laptop wifi. In your case, we are going to do what we call Reverse Tethering that is How to Connect your Mobile to your Laptop WIFI. Sharing internet connection between your mobile device and your laptop is something that we have all done at some point. Traditional tethering involves using a cell phone as a modem to get a laptop or tablet online. In this case we want to connect your Android phone or iPhone, tablet, or other mobile device to your laptop WIFI. We will achieve this by a concept known as Reverse Tethering. Some of you might ask why we would want to that, why not just use our phones 3G or 4G interface. Well, fro m my experience above you get a pretty good reason why. You office IT department has probably blocked Wi-Fi connections to mobile phones because of an Company Policy but you can access internet from your laptop Wi-Fi or Ethernet Connection. Internet access is basically faster over Wi-Fi than on 3G/4G especially if you have a dedicated connection like the one I boast. You love travelling and you are at a destination where the hotel has only one wired Ethernet Internet connection and no Wi-Fi, bummer!!! Say you are connected to your internet at the office using wire and what we are basically doing is turning your laptop into a Wi-Fi hotspot. Doing this for other laptops is easy, I will do a short post about it, be sure to check back regularly. On Windows: Using Internet Connection Sharing (ICS): ICS is built into machines running Microsofts range of Operating Systems from Windows 98 and above. Using Internet Connection Sharing is fun and you can see an example where I share my modem connection from my PC. On Windows 7: Use Connectify (Preferred): When connecting your Mobile device to your Laptop Wi-Fi you won’t be able to use the same Wi-Fi that connects you to the Internet to share it unless you use a third-party application like Connectify. Connectify from the description on their site – Share 3G / 4G, boost Wi-Fi, and more with our software router, Connectify Hotspot, or combine all your Internet connections with Connectify Switchboard. Connectify is available for all devices that run Windows 7 and above. It offers advantages such as it is the most secure method for sharing you connection, since it offers WPA2 encryption instead of WEP which even teenagers nowadays know how to crack. Download and install Connectify (from CNet). Click on the Connectify logo in the Notification Tray at the bottom right of your desktop (the icon looks like a radio wave). Now you’ll create a wi-fi hotspot: choose a name for your wireless network. Choose a wireless password. The network is encrypted with WPA2-AES encryption. On the client devices, you should be able to see the new wi-fi network you just created and use standard wi-fi connection instructions to connect to that wireless network. On Windows/Android: How to connect your Android Phone to your Laptop WIFI – requires apps installed on your Android Phone. There are several apps that are available in the Google Play Store. 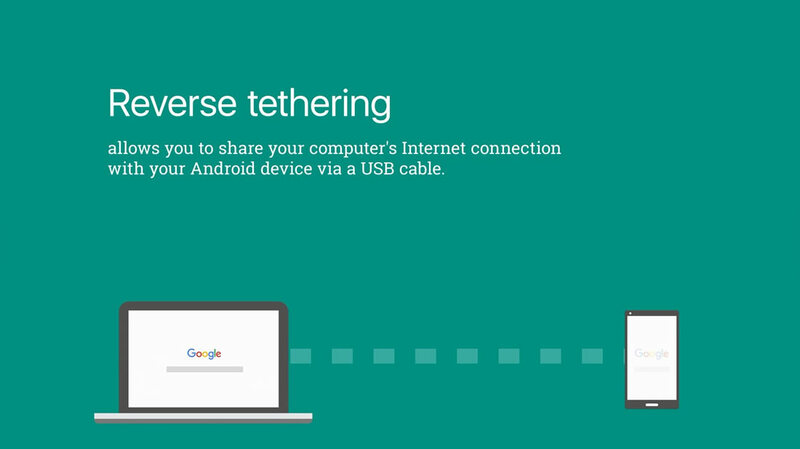 All you have to do is search for the term Reverse Tethering and you should see a bunch of Apps returned. This is for the non-techie–if at all the above instructions do not work for you, or you don’t want to install any third-party software on your laptop, or maybe the IT department has given you a standard user account and you do not have installation privileges then you can purchase an inexpensive travel router. The best that I have tried and tested is the NETGEAR Trek N300 Range Extender and Travel Router (PR2000) shown below, which is so small it can fit in your pocket. If you purchase it from Amazon you get Free Shipping in the US and also a 42% discount.